Today we face a classic need: how to rent a car with debit card. Typically when you go to get a rental car, it is required that you have two things: a valid driver’s license and an active credit card. However some people may not have a credit card which leaves their only option to be debit card. 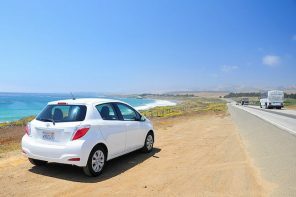 When you are considering how to rent a car with a debit card, some rental car companies may not allow it. However, some may. Try to rent a car using a debit card can become a tricky process. While it is not completely impossible, it can still pose as an obstacle. 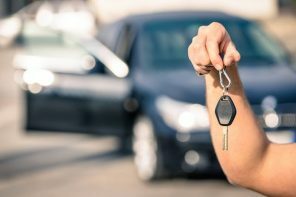 The reason it is problematic is that sometime rental car companies see it as a risk to rent a car to someone who does not have a credit card and it is a red flag to them that you might be a credit risk. They are not typically comfortable letting you go off in their pricey rental car because it could be too risky and cause them to lose out. While your credit may be just fine and you just opt to not utilize a credit card to rent a car you still might be toying with the idea of using a debit card. Many rental car agencies are starting to realize this and are offering the option to pay instead with a debit card. If you do think how to rent a car with a debit card, there are a few tips you might want to keep in mind. It is not uncommon for a debit card to have the logo of a major credit card company on it. MasterCard and Visa are some of the larger credit card companies that also issue debit cards. Do not be surprised if there is a requirement for a logo on the debit card in order for the rental card company to accept it. Also do not be surprised if the rental car company decides to do a credit check to be sure that you do have good credit and also have funds available. Keep in mind that if a car rental agency runs a credit check, it can lower the score of your credit rating because anytime anyone runs a check, the inquiries appear on your report. You also must be patient. The rental car agency may take a longer time verifying your identification, checking up to see if you have proper insurance coverage, and to also run the credit check. You can tap your foot as long as you want but you chose an option for payment that is more difficult than paying with a credit card so you have to be prepared to take the time for your safety and theirs. Also note that if you are thinking how to rent a car with debit card, you also might be subjected to pay a cash deposit or to place a hold on the savings or checking account that is linked up to the debit card. It will likely be at least a deposit of $200 or even more. Be sure you have that kind of budget available in your checking or savings account in case you are traveling. However, this deposit will be returned back to you if you return the rental car back to the company in the condition that you rented it. Consider that if you do not have a credit card, your choices might be limited of what kind of car a rental car company will allow you to borrow. When considering to use a debit card, be prepared to not be able to choose a prestige or luxury vehicle or even a sport utility vehicle. The high dollar cars are too much of a liability for companies to rent out. 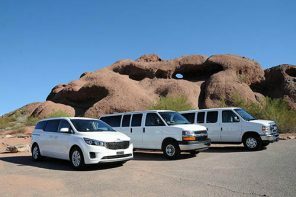 When thinking how to rent a car with debit card, note that this is more of a hassle and really using a credit card is a much better option that can save a lot of money and time. Other countries may not even accept debit cards at all but you have to check all conditions and terms for the specific countries you will be visiting. See our online best deals!